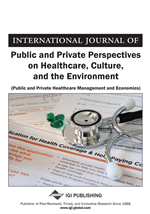 This article uses a refined version of historical institutionalism to critically examine the complex interplay of forces that shape the health insurance reform trajectory in China since the mid-1980s, problems that plague the current multi-layered social medical insurance system and solutions to these problems. It shows that achieving universal health coverage (UHC) requires the government to ensure financing equity between urban and rural insured participants, access to affordable health care and the financial sustainability of medical insurance funds. Facing the challenges of rapidly aging population, the government implements a pilot scheme that integrates medical and nursing care for the elderly and a pilot long-term care insurance scheme for disabled elderly. It is expected that these two pilot schemes can provide better financial protection and quality of medical services for the elderly. Rapidly ageing population (Hsu et al., 2015), rising medical costs (Augustovski et al., 2011) and the burden of NCDs (Bristol, 2014, p.1) have driven governments worldwide to find ways to achieve UHC. According to World Health Organization (WHO), there are three dimensions of UHC: (1) the breadth of coverage; (2) the depth of coverage; and (3) the height of coverage (World Health Organization, 2008, pp. 25-6). The breadth of coverage refers to ‘the proportion of the population that enjoys social health protection’ (World Health Organization, 2008, p. 25). The depth of coverage refers to the provision of the range of essential services that can effectively address people’s health needs (World Health Organization, 2008, p. 26) while the height of coverage refers to the portion of healthcare costs covered by pooled funding and pre-payment mechanisms (World Health Organization, 2008, p. 26). In recent years, UHC has become a key global health objective advocated by WHO and the World Bank (Cheng, 2015, p.1) and has been adopted by many countries as a national aspiration (Reich et al., 2016, p. 811). It is believed that UHC can improve the health and well-being of people (World Health Organization, 2013, p. xi), and “is necessary for economic growth and development” (Cheng, 2015, p. 2). Nevertheless, it is not an easy task to achieve UHC around the world. According to the 2017 UHC Global Monitoring Report, there were still 808 million people spending over 10 per cent of their household total income on out-of-pocket medical expenses (World Health Organization and the World Bank, 2017, p.24) and “97 million people were impoverished by out-of-pocket health spending at the $1.90-a-day poverty line” (World Health Organization and the World Bank, 2017, p.40). In December 2017, Tokyo Declaration on Universal Health Coverage was adopted by high-level government officials from various countries to reaffirm their commitments to accelerate progress towards UHC by 2030 (World Health Organization, 2017).